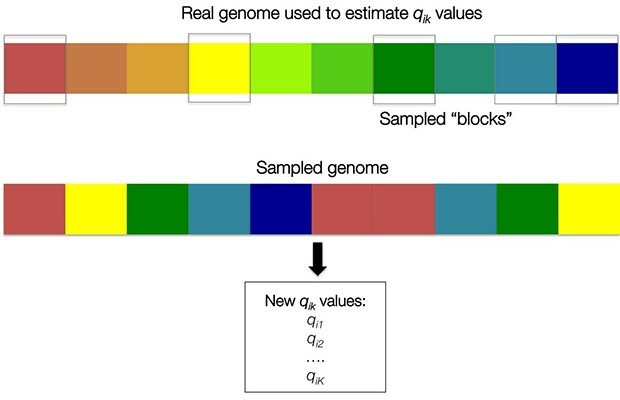 Genotyping, the process of using the OmniExpress array to assay a customer's genetic data from DNA that has been purified from a saliva sample, is roughly outlined in Figure 2.2 below. 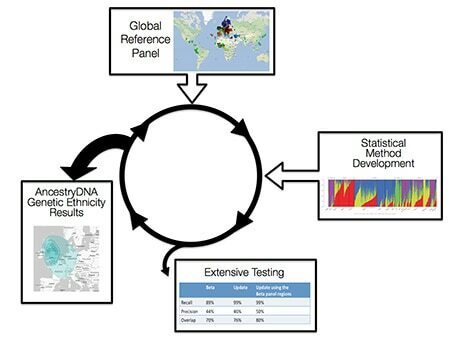 Further details of this process are described at the Illumina website (http://support.illumina.com). 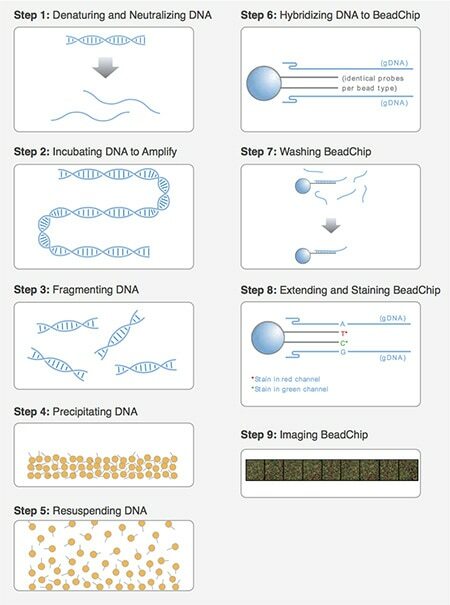 Figure 2.2: DNA Extraction and Genotyping. 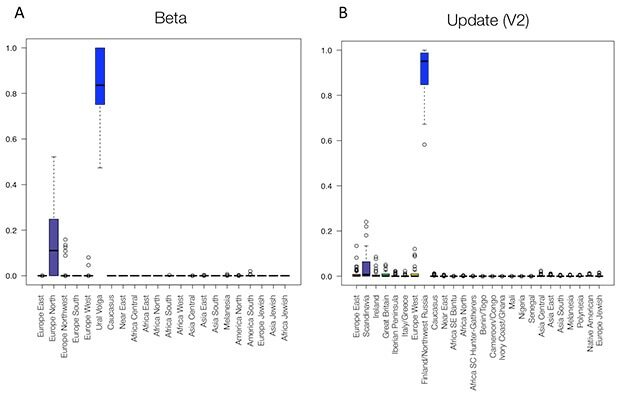 The images presented here are described in the following document about the Infinium HD Assay: http://support.illumina.com/documents/myillumina/67f59f89-51ee-44d6-b1bb-a53dcb5bd01e/infinium_hd_ultra_user_guide_11328087_revb.pdf. 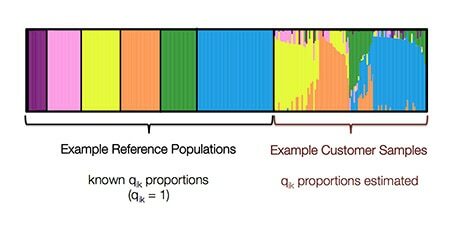 Both Illumina and AncestryDNA measure a number of statistics to assess the accuracy of the array and genotyping protocol. 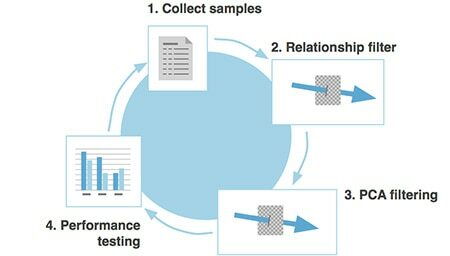 For studies performed by Illumina, see http://www.illumina.com/Documents/products/datasheets/datasheet_human_omni_express.pdf. 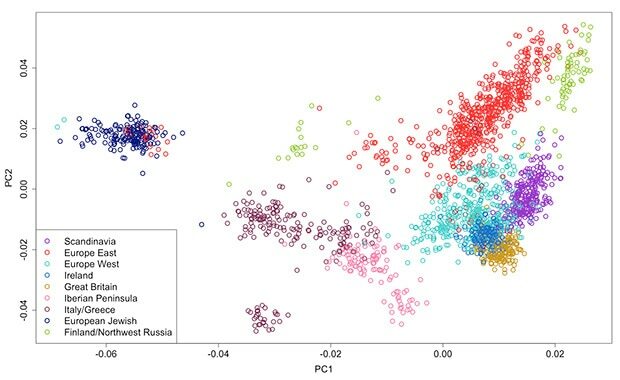 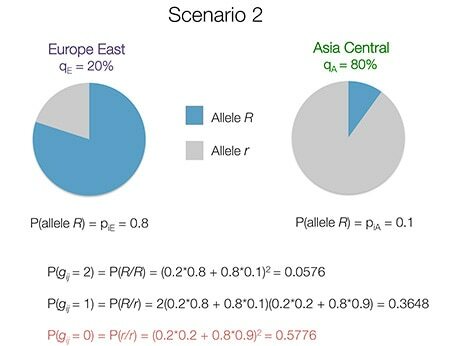 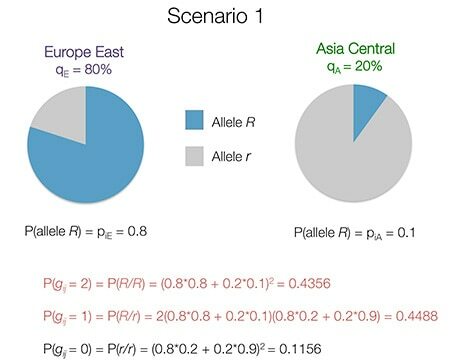 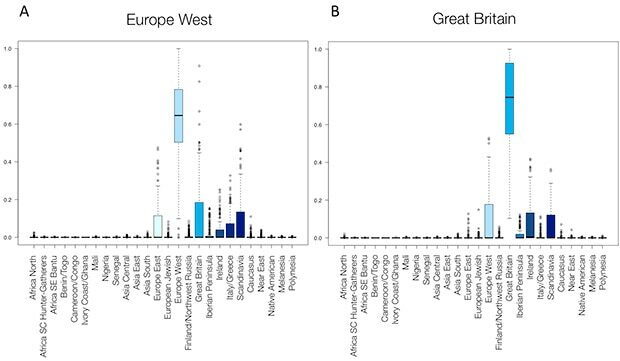 AncestryDNA uses a program called ADMIXTURE, developed by Alexander, Novembre, and Lange (Alexander et al. 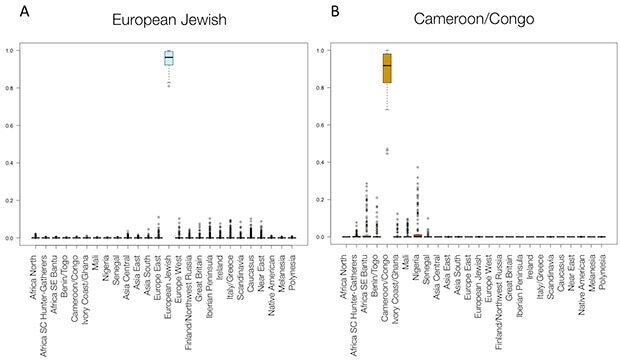 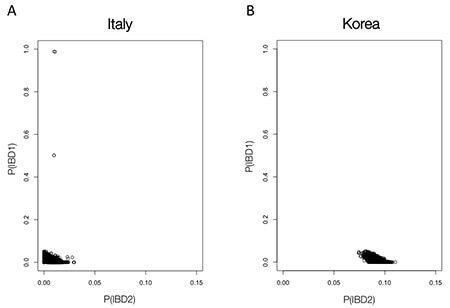 2009; http://www.genetics.ucla.edu/software/admixture/). 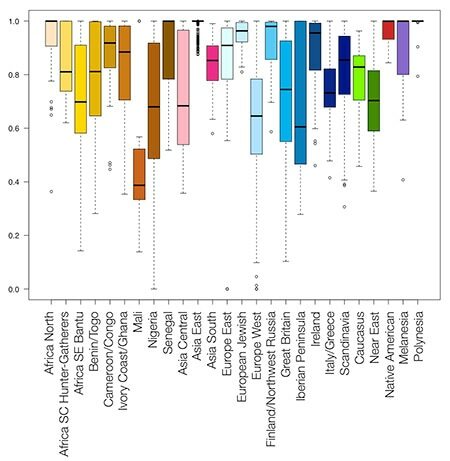 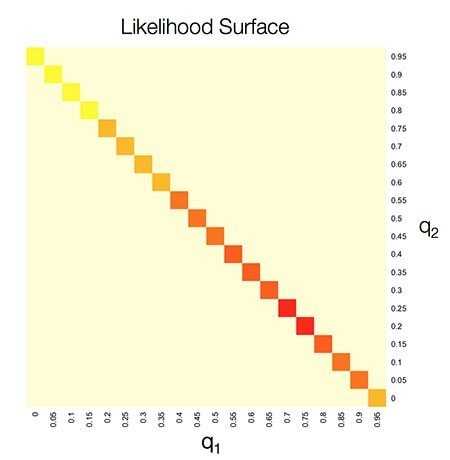 The model estimates the proportions of “membership” in a set of ancestral clusters, or populations, for each sample given his or her genotypes (Prichard 2000). 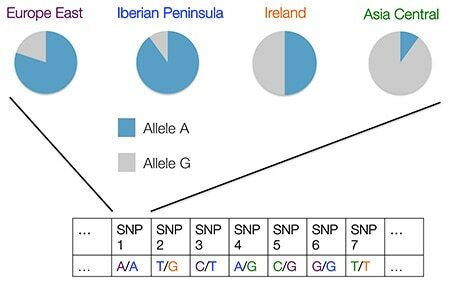 At AncestryDNA, we apply the “supervised” version of the model. 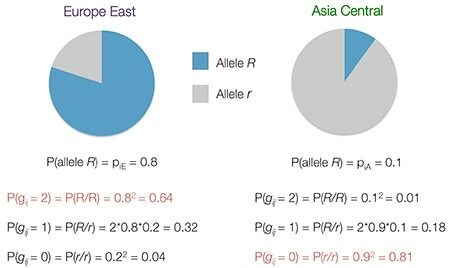 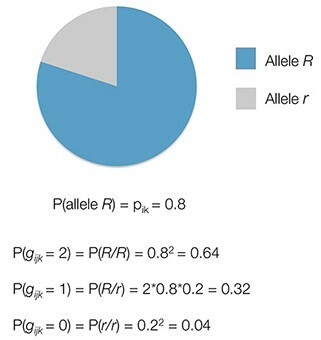 Each of the reference populations corresponds to a source population, in which the allele frequencies of each SNP are known and fixed. 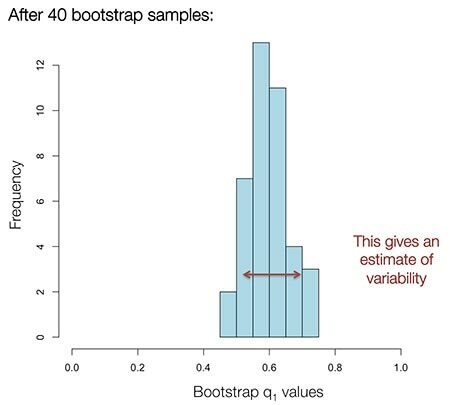 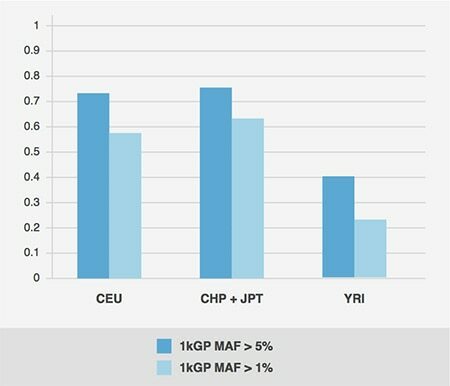 Both the Beta version of ethnicity estimation, as well as our latest V2 estimates, use the same method.